The thing about being a planner addict means you find yourself stocking up on supplies you love. Most of have large supplies of pens, sticky notes, stickers, washi and all kinds of stationery. One thing weakness of mine is stocking up on notebooks and travelers notebook inserts, which I keep in a bin under my bed just waiting to be put to work. Now that I have decided to switch things up and create a version of my Faithful Girl planner in a TN, I decided to give some of my inserts a makeover. Most of my stockpile came from MayDesigns, during one of their big sales, and I have a lone insert from here. Since I wasn’t in love with the cover designs any longer, nor did they work nicely together, I decided to give them a makeover with coordinating papers and simple embellishments. I wanted to share my way of giving inserts a makeover as well as share my process for how I choose and assemble my décor. 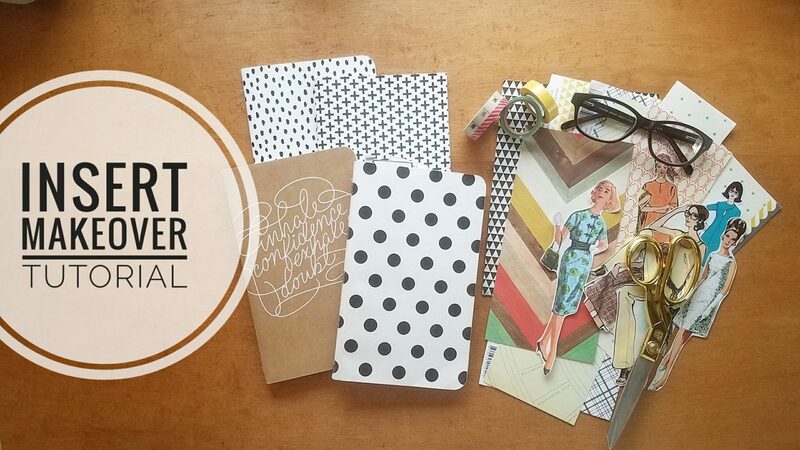 This may help you look at those notebooks and inserts in your own stash with new inspiration. Part 2 is coming soon and will include how I add the tabs, labels and set up the inserts themselves within my planner. For my full list of products I use and love (including what’s in the video) check here.